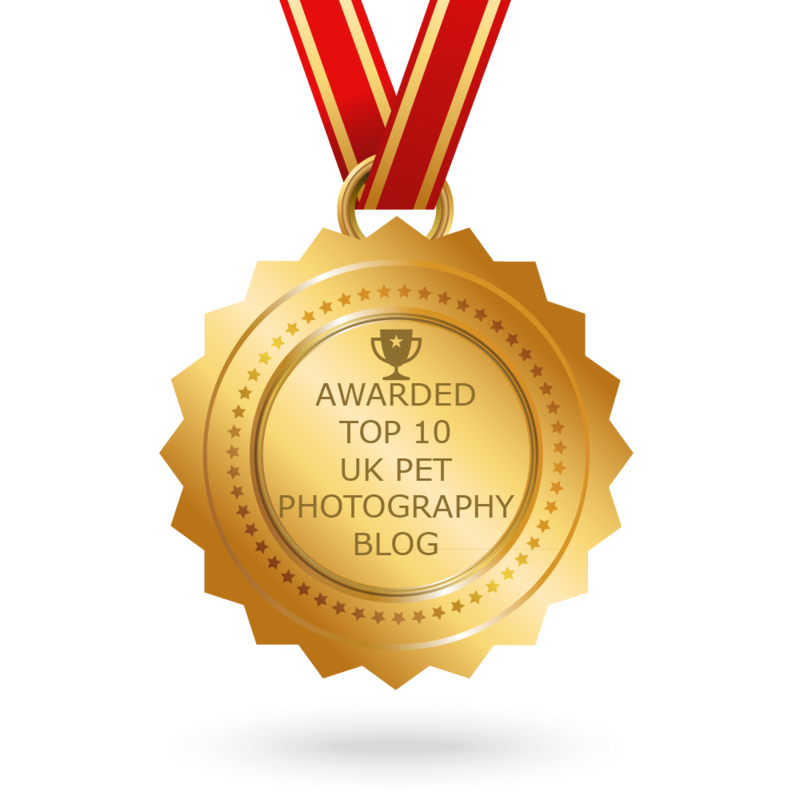 Pickle recently won Best in Show at the annual Accolade Hounds Dog Show in Stoke Bruerne – and what a deserved winner! When I met (Mr) Pickle for his photo experience at Irchester Country Park, I was instantly struck by his friendly and confident nature. 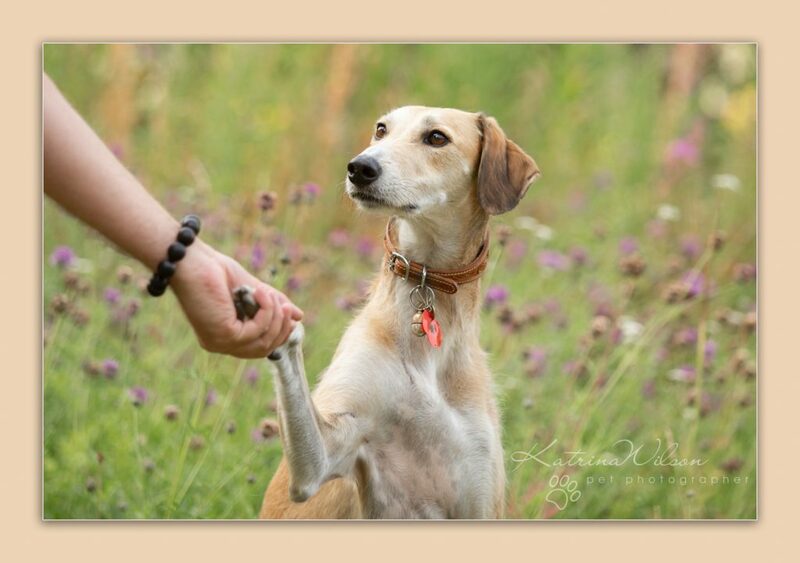 Having photographed many sighthounds, I find they are often very devoted to their owners (as Pickle is) but not particularly interested in strangers. However, Pickle on meeting me for the first time was happy to be stroked, and wasn’t at all bothered by my intimidating lens….and clearly was a complete natural looking down the lens and striking a pose! I love this “happy” pose (above) where Pickle just gently lifted his front paw while holding a perfect stand and stay for his human! Pickle is DEVOTED to his owner – and vice versa, and when you hear his back story, you’ll totally understand why…. “Pickle came into our lives almost 4 years ago, after being found tied to a tree on an old travellers camp. He was very underweight and was rescued by Accolade Hounds who believed that he was around 2 years old at that time. 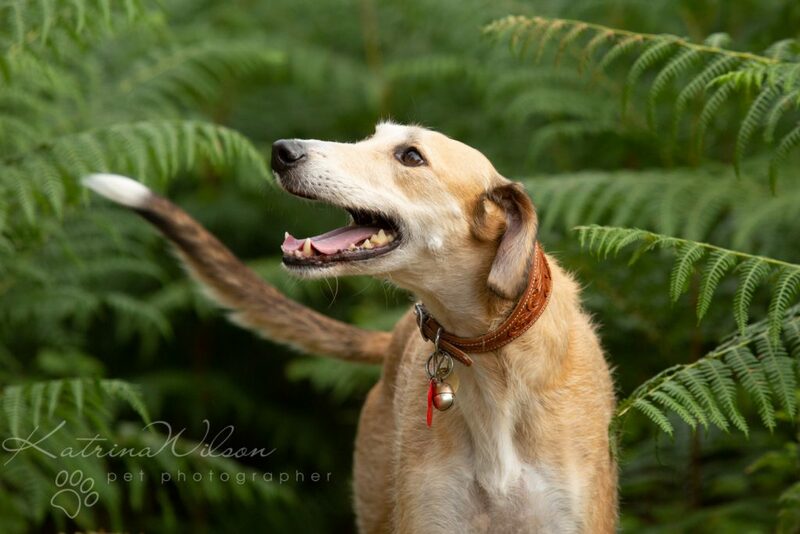 He is covered in old scars but he is such a caring, happy lurcher and loves to give people love and attention. For me, this picture (above) perfectly captures the trust between Pickle and his owner, and the unbreakable bond they have. 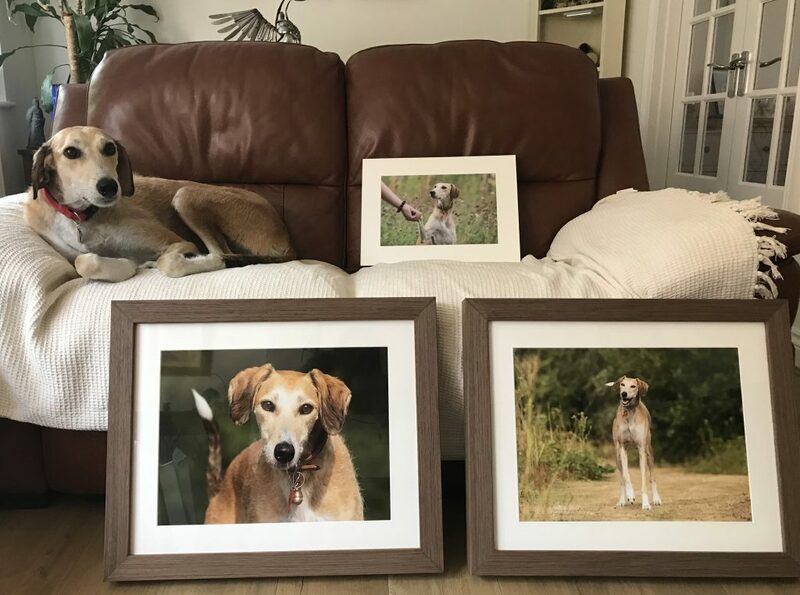 I was so excited to deliver the prints from our session to Pickle and his owner. A tear was shed, although Pickle didn’t feel the need to move away from his comfy sofa …until of course I showed him the special fishy treats (Courtesy of Rudi’s The Doggy Bakery) that I’d brought along especially for him! 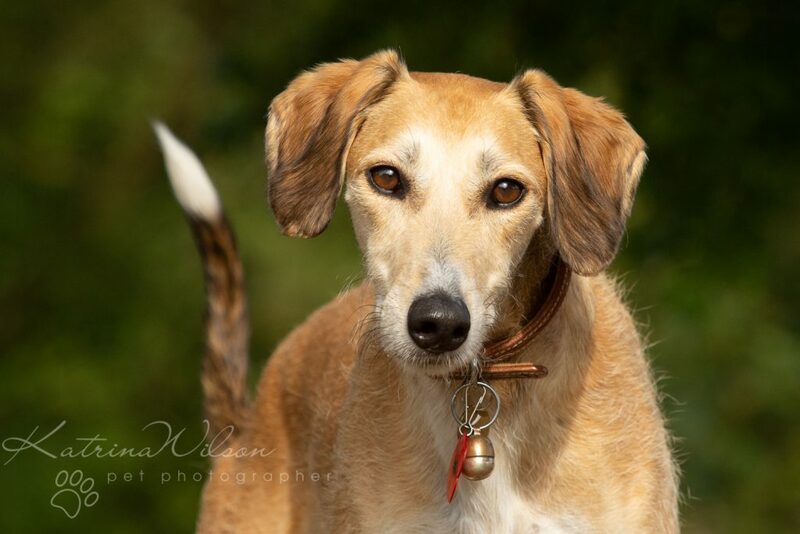 Pickle now spends most of his days residing on a luxurious sofa, and works as a therapy dog (when he feels like it)……it’s a hard life being a rescue hound! 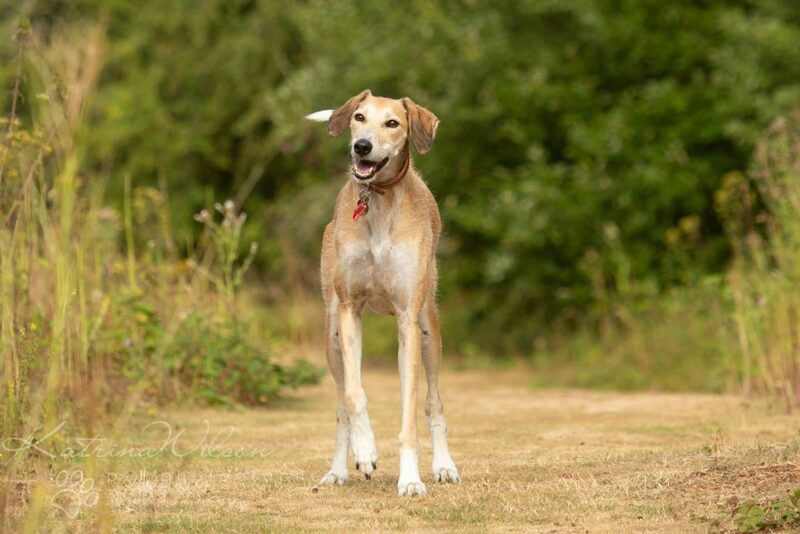 If you are interested in rehoming a Greyhound or Sighthound, please do consider contacting Accolade Hounds who do a fantastic job of matching the many hounds that come into their care, with the right home that meets the needs of each individual dog.